We know that keeping up with the latest technology is tough. One day you’ve got the latest, hottest smartphone, the next it’s yesterday’s garbage. Thankfully, our dentists are passionate about giving our patients the best treatment available, and our investment in the latest technology means a better experience and better outcomes for our patients. Historically, x-rays had to be developed in darkrooms. Now, in a matter of moments, you can see the digital image on your dentist’s computer screen. Digital x-rays are fast and also allow the patient to better participate in their own diagnosis and treatment planning. Our intraoral camera allows us to gain a closer and more accurate understanding of what’s going on inside your mouth. In the past where we had to rely on the magic of sight with the help of a tiny mirror, we can now get an up close and personal, high-resolution image to help us better detect decay and disease like periodontitis and oral cancer. Laser therapies can result in quicker treatments, fewer side effects, less pain and faster healing. Your dentist uses a high-tech Pioneer® laser as a less invasive alternative to traditional surgery. Could you benefit from laser dentistry? Find out today! Let’s face it, nobody likes getting shots. That’s why we’ve invested and received advanced training in DentalVibe® painless injections, to make sure your experience is as comfortable as possible. 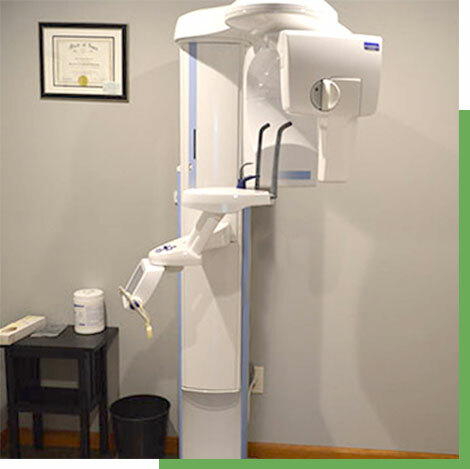 If you’re ready to experience the difference that advanced technology can have for your dental experience, and your oral health, you’ve come to the right place. If you have any questions about our technology, or would like to schedule an appointment with your dentist, give us a call today! *Technologies available at our Oelwein office location only.